The Premiere Limo Service In Markham, Ontario. Markham City Limos takes the tensions out of travelling. Our free instant quote tool through our accessible website is both efficient and intuitive, meaning that you’re just a few clicks away from obtaining your free quote. We are committed to not only accommodating a wide variety of request but also providing the highest quality of services. After booking has been confirmed, we will provide verification to our clients. At Markham City Limos, we make it a priority to ensure the safety of our clients, so our drivers and everyone of our staff goes through an extensive background check. Our goal is to be Markham's most reliable and trustworthy company. Markham is one of Ontario’s defining cities. From the Unionville Planing Mill to the Markham Museum, it is the city that blends the old with the new on every street. The city attracts hundreds of tourists and business travelers everyday – and if you’re one of them use Markham Limos to get around. Since Markham is one of Toronto’s business hubs, it has a variety of transportation choices. Business travelers know that they must rely on a reliable and efficient option to get to their destination. With our low prices and no hidden fees, it is easy to see why Markham City Limos is such a trusted and well respect name in transportation. Also known as Markham's Top Limo Rental Service. We believe in striving for excellence in every way possible because our clients are very important to us. Markham City Limos has provided the city of Markham and The Greater Toronto Area, with the most incredible limousine services for the past decade. We provide Limo Rentals & Limo Services to all of the cities that surround Markham, within a 50 mile radius! We believe in providing and meeting our clients needs in every possible way, by contributing the most elegant and magnificent transportation in the Greater Toronto Area. At Markham City Limos, our goal is to make your event amazing, an event that you will never forget. So our staff and drivers work their hardest to bring you a luxurious limousine that is safe and clean. Our drivers will also guarantee that you get to your respective destination on time. It does not matter, whether your event may be a bachelor or bachelorette party in the entertainment district, a night out with friends or family on the town, a birthday party, a graduation event with classmates and best friends, or a wedding event. Markham Limos provides our clients with the best and safest drivers, outstanding and clean vehicles and the highest quality of service. We all love to have fun. A night out, a night in, a good drink in our hands, great food, better people, and lots of memories in the making. Many of us routinize fun – we go out each weekend with our friends and coworkers, hitting the same spots, drinking the same drinks, having more or less the same night out each week. And that’s great, it can be a great time. But sometimes the occasion calls for something more. Sometimes it is a birthday, a bachelor party, a bachelorette party, a prom, a sporting event, a graduation. Or sometimes you just want to do something different, something with a little flare. Our limo company – the premiere limo company in Markham, Ontario – offers party buses to fill that desire. With our party buses, you can do something different, something to mark the occasion and celebrate your event (or just the people you are with). If you like to drink, then the last thing you want to think about is having to stop. When you’re driving home, you have to worry about the safety and legality of your consumption. But that worry can be calmed by a limo service. If you order a party bus from our company, then the driving will be taken care of for you – you can have all the fun you want and not worry about anything but how to have more of it. Bring all the drinks you like on our buses and let us take you where you want to go in style. If you are hosting an event then you have likely put a lot of time into making sure the time at that event will be great – fun, exciting, memorable. But you may not have thought at all about the ride there and back. Party buses are a great way to make sure your guests have a wonderful time from start to finish. We all know that the very rich and the very famous favor limos and party buses. There is a reason for that – they are so much fun and they are so easy! But many of us think that these services are out of our reach (we are neither very rich nor very famous). Fortunately, we offer these services at affordable rates, so a party bus is well within your grasp. We invite you to take advantage of those affordable rates. Call us to reserve your party bus today. When it comes to your fun, to your evening out, to your celebration, nothing should stop you from coming short of amazing. Nothing should prevent your time from being truly special. Our services are designed to help ensure that you and your guests have a time you will remember for a long time. Party buses are not simply ways of getting from one place to another, they are ways of building memories. We are the premiere limo service in Markham, and we would like to offer our services to you at an affordable rate so that you might start building memories. Why not start the very next time you go out? Check Out Some of The Other Areas We Serve. Outstanding prices and no hidden fees - ­­We provide our clients with competitive value –based pricing and multiple payment options. We guarantee that you will not find another Limo Service or Limo Rental company that offers our quality of service at a better price. We believe that once you have taken part in our services that you will become repeat customers. 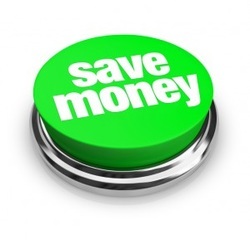 Free quote and bonus coupon - You can now easily and comfortably check our services for up-to date prices through our free online instant quote tool. After you have completed your inquiry, you will immediately receive an email with confirmation plus a special bonus coupon. Quality of Service - At Markham limo services we have a good understanding of what our customers want and what they expect. We offer a variety of Limo Rentals, so you can choose which car best suits your needs. No matter what vehicle you choose, you can look forward to the highest quality. We have Flexible Schedules - We are able to accommodate any last minute bookings. We pride ourselves on being available at all times of the week. Repeat Customers - Due to our competitive value- based pricing, multiple payment options, quality of service and exceptional results that delivers an unforgettable experience. We are able to develop lifelong relationships with our clients. We are driven by customer satisfaction and our goal is to provide our clients with experiences that will last a lifetime. 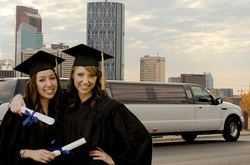 ​Markham City Limos provides reliable and efficient service. We pride ourselves on our ability to satisfy our customers, our drivers will always arrive 15 minutes before the allocated time and drop you off at your expected destination on time. The bachelor party has been a long standing tradition in Canada. Many legends have been created during this festivities. Markham City Limos wants this to be one of your most unforgettable nights. The bachelorette party has been a long standing tradition in Canada. Several a legends have been created during this festivities! Markham City Limos wants this to be one of your most unforgettable nights. Let Markham City Limos handle all your transportation needs on the special day. We have a fleet of cars from stretch limousines to party buses, so whatever events you may have planned, you can enjoy it in the best way possible. ﻿Markham attracts hundreds of tourists and business travelers everyday – and if you’re one of them use Markham Limos to get around. There are several times when Markham City Limos are required, and funerals are one of them. Why not leave the driving up to someone else? Whether you are celebrating your graduations from university or high school, our fleet of cars are ready to provide quality and exceptional service. If you're looking for the Best Wedding Limo Rentals in Markham or the GTA, well you have come to the right place. At Markham City Limos, we provide a variety of services, including limos for church events, from weddings, to small gatherings. With many of the large events constantly happening throughout the greater Toronto area, why not rent a limousine? Why drive? At Markham City Limos, our services are incredible extensive, there isn't really much we don't do. Our services include: Party Bus Services, Airport Limo Services, Prom Limo Services, Anniversary Limo Services, Bachelor Party Limo Service, Birthday Limo Services, Corporate Limo Services, Funeral Limo Services, Graduation Limo Services, Wedding Limo Services and many many more! We know how big the Greater Toronto Area is, and our goal is to service every city in the Greater Toronto Area. Right now the cities that we service around Markham, ON are: Mississauga, Toronto, North York, Scarborough, Vaughan, Richmond Hill, Pickering, Ajax and Brampton. Our costs depends on the size of the limo, the number of guests and the distance. Feel free to contact us today for a free quote. At Markham City Limos we offer amazing and incredible affordable Limo Rental Services. Contact us at 647-360-9635, you won't be disappointed.